AUSTIN, Texas — (BUSINESS WIRE) — November 24, 2014 — Sony recently released its successor to the SmartWatch 2, unsurprisingly named SmartWatch 3. The SmartWatch 3 has many new features such as waterproof (IP58 rated, not just resistant), improved styling, transition to Android Wear, and introduction of a new wearable platform from Broadcom. 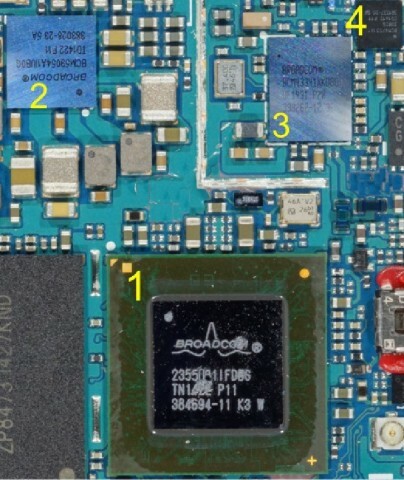 This is the first Android smartwatch based on the Broadcom system-on-chip (SoC) platform which includes a 1.2GHz Quad-core ARM Cortex A7 processor (BCM23550), an improved GPS and Sensor processing SOC (BCM47531) capable of simultaneously tracking five satellite systems (GPS, GLONASS, QZSS, SBAS, and BeiDou), the now popular Wi-Fi/BT/NFC/FM quad-combo connectivity chip (BCM43341), and a highly integrated power management IC (BCM59054). These findings are part of ABI Research’s Teardowns Market Research ( https://teardowns.abiresearch.com/) which includes teardowns of wearables, handsets, tablets, and modems.